An inquest has heard an experienced heating engineer who was accidentally electrocuted whilst carrying out routine work was “very experienced” and “extremely conscientious”. Father-of-three Paul Willett died after the accident at a house in Ardleigh. 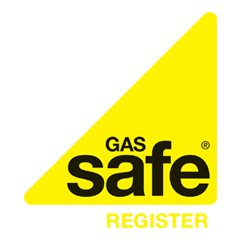 Mr Willett, who owned Willett Heating and held a Gas Safe registration, was carrying out maintenance work on a central heating system at the property on 9 June 2010. The self-employed heating engineer had installed the central heating system the previous year and had returned to carry out a routine annual boiler service. The jury, who returned a verdict of accidental death, heard how the 47-year-old was found collapsed on the floor and unconscious by the home owner, Raymond Ablett. Mr Ablett said he could tell Mr Willett was not alive and ran downstairs to phone emergency services. Richard Lines, a specialist inspector from the Health and Safety Executive examined the central heating system afterwards and found there was a fault with a towel rail in the downstairs bathroom. A metal screw that had been drilled into a supply cable caused a 230 vault current to run through the pipe work Mr Willett had been working on, leading to an electric shock when he touched it. Mr Lines pointed out that none of his findings led to any criticism of Mr Willett’s work and said it was a ‘particularly unusual set of circumstances’ and from what he saw, Mr Willett was very ‘conscientious’ in his work.